The Meemic Foundation’s Together Movement in bringing awareness to the problems of bullying, intolerance and disrespect in our schools and communities. 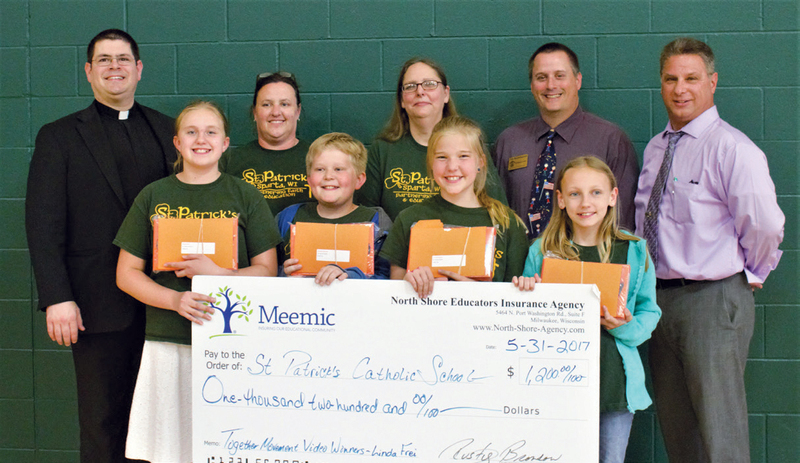 This is the first year Saint Patrick School in Sparta has submitted videos for consideration and four students won and each received an Amazon Fire® HD Tablet. The videos were posted on social media and the winners were selected by public vote. The students’ teacher, Linda Frei, was awarded $1,200 to spend for her classroom.